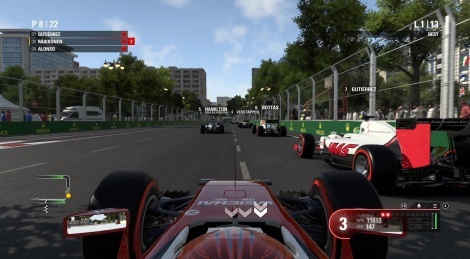 F1 2016 will be released on PC and consoles on august 19th, we could get to try the preview version on PC so here are some videos from the Baku circuit showing new features such as the formation lap, manual start and the return of the safety car. Note: steering can seem abrupt and late or missed gear shifts, this is due to a bug in this version sometimes delaying the steering wheel controls. Heck yeah, can't wait for this. 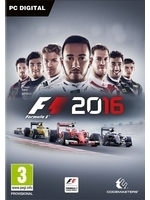 I'm a big F1 fan, but this does not get me really excited.. I'm not really feeling the graphical style and the AI still looks a bit poor with the cars driving to much like trainwagons on rails.. But overal not a bad effort I guess..
Yeah, graphics are just bad all things considered.